The Vivaldi browser and Qwant search engine team up to better European browsing habits. 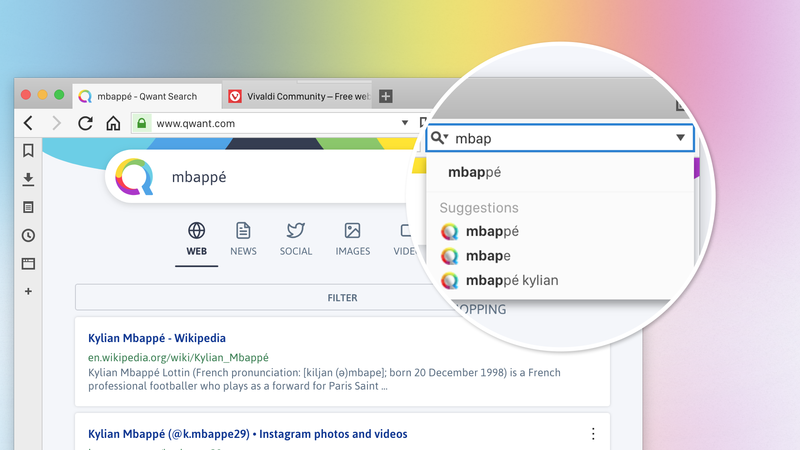 Vivaldi adds Qwant as a pre-installed search engine in its latest version. 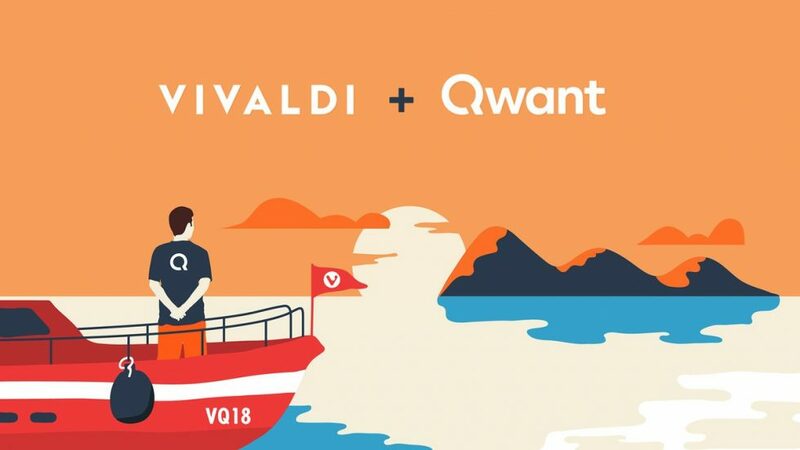 OSLO, Norway – 19th July 2018 – The Vivaldi browser integrates Qwant, the European search engine in its list of search options. With this partnership, the two companies hope to further encourage users to protect their privacy online. Vivaldi, the only European browser, continues to put the privacy of its users as one of its highest priorities. Teaming up with Europe’s leading search engine Qwant, furthers its mission to provide its users with more privacy-focused search options. With this new update, Internet users will be able to search the web with desired results without any advertising profiling. Both Vivaldi and Qwant do not track their users nor gather or trade any private information of their users; paving way for an entire fast-growing ethical ecosystem in Europe. “We believe that the Internet can do better. ‘Internet for All’ – a mantra that’s true to Vivaldi’s core inspires us to join hands with Qwant, a company that shares similar values to ours. We do not believe in tracking our users or in data profiling’’, says Jon von Tetzchner, CEO and co-founder of Vivaldi Technologies. “We are extremely thrilled to give our users another search alternative that protects them from mass surveillance,’’ adds Jon von Tetzchner. Qwant is the first European search engine that has its own web indexing technology. It protects the privacy of its users and allows them to search the web efficiently with relevant results. The integration with Vivaldi allows both to share their common values and objectives: respect for privacy, data protection, and neutrality. Qwant is also motivated by the implementation of sustainable digital development and offers their users to benefit from the Vivaldi browser which shares the same values. Users installing Vivaldi for the first time will find Qwant in the Search field to the right of the address bar. Clicking on the magnifying glass icon will reveal a menu of search engine options, including Qwant. It is also possible to search using Qwant in the address field after selecting this option in the Search Settings. Vivaldi Technologies is an employee-owned company that creates products and services for discerning web users. In everything it does, Vivaldi, a “do-it-your-way” browser believes in putting its users first. Launched in 2016, Vivaldi takes browsing to the next level with its numerous features that give users a more dynamic and personal experience of the web. Vivaldi demonstrates that a browser can be the most useful tool to enhance time spent online and not just a means of accessing web pages. Vivaldi is headquartered in Oslo, with offices in Reykjavik, Boston and Palo Alto. Learn more about our mission at vivaldi.com. Designed and developed in France, Qwant is the first European search engine to have its own web indexing technology, which protects the privacy of its users by refusing any tracking device for advertising goals. Unlike the main search engines on the market, Qwant does not install cookies on the user’s browser, does not ask who it is or what it does, and does not keep a history of requests made. With a warm interface that leaves plenty of room for results, Qwant allows you to find the information you are looking for efficiently across the web and social media while respecting total neutrality. Qwant treats all the indexed sites and services without discrimination, without modifying the order of the results according to its own interests or the sensitivities of the user.